Voting for the Finance Magnates Awards Ends Tomorrow! Voting ends tomorrow night at midnight BST, so make sure your voice is heard - every vote counts! Time is running out to vote for a winner at the 2017 London Summit Awards. The voting process ends tomorrow evening at midnight, UK time. 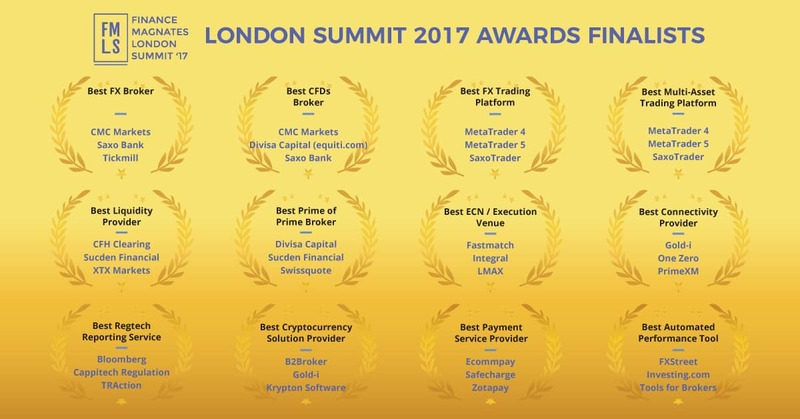 Following this deadline, the tallies will be counted and announced at the finality of the Finance Magnates London Summit on November 14-15 at Old Billingsgate. Have you cast your vote? Learn how to by registering today! Voting is currently in the second phase of the process, with each of twelve categories narrowed down to three candidates. Only one in each shortlist will be crowned the victor on November 15. Still haven’t received an email asking you to vote? Contact events@financemagnates.com immediately for assistance so you can get your vote in on time. The time has come for you to have your say, however, this short window is quickly closing. Are you still unsure of what the voting process entails or what these awards mean? We’ve got you covered. Each year, Finance Magnates recognizes the industry’s top-performing companies, bestowing a range of honors across twelve different categories. The awards reflect both trends and shifts that the FX industry has undergone in the most recent year, and are decided based on votes from industry peers and attendees. But I want to win…tell me how! 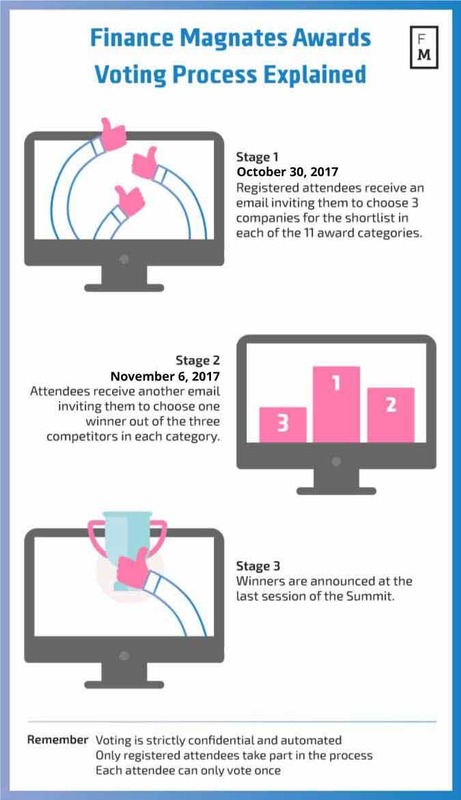 If your company is already on the newly unveiled short list then your job is to simply convince your industry peers and summit attendees why you are the best in your respective category. To do so we recommend highlighting your company across social media feeds as historically this have encouraged attendees to cast their ballots in an 11th-hour bid if necessary. Don’t forget to include the summit hashtag #londonsummit17 in your publications and invite your audience to register and vote. The event is fast approaching, with less than a week to go. While you consult the agenda and prepare for the Networking Blitz, we advise that you make the most of your participation by downloading the event app. Looking for a way to connect with other attendees at the event?